A significant part of my law practice is a steady stream of prenuptial agreements for clients who are embarking on marriage. Generally (but not always), I represent the less-moneyed spouse. She (usually) is presented with the concept as a limited means to, say, protect the fiancé’s (or his parent’s) wealth. Somehow, this morphs into an all-encompassing financial contract that drastically limits her marital rights with far-reaching effects extending into the future. Don’t get me wrong – I’m all for prenuptial agreements in second marriages, especially where there are children of the first marriage. But many of the prenuptial agreements I see are for first marriages and are unfair, badly conceived, and very destructive. 1. They are almost always coercive. A typical fact pattern is a couple that has been together for some time. They love each other. Marriage is on the horizon. Sometime before (or even after) the proposal, the future husband brings up the idea of a prenuptial agreement. The future wife wants to marry her fiancé, but when she finally gets a copy, she sees that the prenuptial agreement is complex and far-reaching. And, when she actually reads it, it seems to block her access to everything the future husband presently owns, might own in the future, and any possible support rights. This perception is confirmed by her reviewing attorney, who is aghast at the meanness of it all. But she still wants to go ahead and marry the person she loves and understandably does not want to throw away all the time she has spent with him building a relationship. Her attorney tries to soften the prenuptial agreement through negotiation, but the lawyer handling the prenuptial agreement for her fiancé refuses to budge. The attorney for the fiancé says, “It’s just a business deal,” or “The prenup will stay in a drawer, and only come out if needed”. But marriage is not just a business deal. That’s why the state is concerned with the rules of divorce and inheritance between spouses. Yes, it will stay in the drawer, but when it is pulled out, it will have a devastating effect on one party – the least powerful one. The client now has the choice of breaking up or signing the agreement. Most often, the person will take the second choice. Contracts are binding when each person to the contract gives something and gets something. Think of it. You pay a store for a pair of shoes. You get the shoes. This is called “consideration,” which is the basis of contract law. In a prenuptial agreement, the consideration is often lacking. The less-moneyed spouse generally gives away most of her marital rights as provided by law to the moneyed spouse. The right to marry the other (although stated as “consideration” in the prenup) is mutual. They are both marrying – so that part of it is equal. The less-moneyed spouse is giving away more. Where is the consideration on the other side to balance this? This severe imbalance is present in almost all prenups. In addition, prenups are often “sprung” on the less-moneyed spouse, often after the engagement has been set. 3. The people entering into them have no idea what marriage is. Young people really have little or no idea of what marriage is and what it takes to make it successful. When they talk with each other about the prenuptial agreement, a less-moneyed spouse is willing to think about waiving her rights, because neither she nor her future spouse fully understands the importance of financial issues to marriage. She also has no idea what her rights are when discussing the prenup with her fiancé prior to finding out by visiting a lawyer, and the content of the prenup negotiations has already been set by that time. Marriages often thrive or fail because of financial issues. The more mutually supportive the spouses are (in all ways, not just financial) the stronger and more enduring the marriage. People embarking on a first marriage do not fully understand this and may waive very important rights without understanding what they are doing to their marriage. Remember, these marital rights are called “rights” for a reason. When the benefits of marriage are withdrawn for one party, the marriage suffers. 4. There is often a silent party to the prenup who is controlling the process. A high number of first-marriage prenuptial agreements are initiated by the parents of the more-moneyed spouse. They are the elephant in the room who essentially coerce their son into having one. Often the marriage is at a time when the parents are relatively young (in their 50s), and the son still doesn’t have many assets, or has assets given to him by his parents. Almost all of these parents had a “real” marriage without a prenuptial agreement. They are forcing the son into a less full type of marriage than they enjoyed. They are making a huge mistake and forever have alienated the new wife and her family, thus making the marriage weaker at the outset. By trying to preserve assets for the son and reduce his risk, they have planted the seeds of destruction. When I counsel parents who think their son (or daughter) should have a prenup, I warn them about these dynamics. I educate them in the laws of divorce and inheritance. This generally causes them to have second thoughts, because the laws applicable to marriage lead to fair results and protect parties who have short, unsuccessful marriages. Inheritance laws regarding spousal rights were also developed with an aim to provide fair results. 5. The attorneys pushing prenuptial agreements for first marriages have no sensitivity to the destruction they cause. Attorneys doing prenuptial agreements are generally from three practice areas: business lawyers, estate planning lawyers, and family/divorce lawyers. There is a culture around drafting prenuptial agreements that has developed mainly due to the fact that they are drafted (and initiated) by attorneys representing wealthy people (or wealthy parents). Looking at the literature out there on the internet, except for my articles, they are positively and unequivocally in favor of prenuptial agreements as a way to “reduce risk.” That’s their sole focus, not on thoughts about supporting or fostering the upcoming marriage. To my mind, this is not good lawyering. Ask those attorneys drafting them for their moneyed clients if they have one themselves. The vast majority do not. The old expression “what’s good for the goose is good for the gander” comes to mind. 6. Prenuptial agreements usually lack minimum estate distribution if the marriage is ongoing at the time of the death of a party. For some odd reason, the draft prenuptial agreements that come from the downtown firms (which have been slavishly copied by attorneys drafting them for moneyed spouses) provide no inheritance rights. And the prenups provide that you cannot contest any of the terms. So get this – the future wife waives most of her marital rights, but if he dies while they are married (and he did not provide for her in his will), she has no spousal rights to inherit. Even if the loving husband left no will (like many people), she has no intestate rights to inherit, which are very significant for spouses. It’s a double whammy. She signed the agreement mainly to provide protection for the husband upon divorce. But she also loses if the marriage ends by death. If she contests, she will lose and will have to pay the dead husband’s executor’s legal fees. She could be disinherited after a happy 40-year marriage. Not a nice result. I always correct this and put a minimum (say 100% or 80%) asset distribution requirement if the marriage is ongoing at the time of a death. 7. They create a lifetime of corrosive memories. Can you imagine having a nice Thanksgiving dinner with the folks who made their grown child make you sign an agreement waiving your marital rights? Can you imagine walking down the aisle in a big wedding having waived your marital rights? There are always tears and very negative and persistent thoughts involved in hardball prenup negotiations. How will your husband feel for having put you through this? This is the situation that you and your loved one will be in if you go ahead and do what his parents and their attorney tell you that you must do in order to marry their son. The memories will be long lasting. 8. They make the less-moneyed party make legal representations that are simply not the truth. I hate it when I see the phrase in the prenuptial agreement, “Neither of us would have married but for entering into this Agreement.” It’s a total lie. The only one who wants the agreement is the more-moneyed spouse (or his parents). Another totally false representation made is that the “Agreement is fair and reasonable.” It never is. If it were, the prenup wouldn’t be needed, and the parties could simply rely on the very fair and reasonable laws of divorce. Some states will allow patently unfair prenups to be enforced. In Massachusetts (and in some other states), luckily, there are some checks and balances at the time of enforcement. 9. They are almost always unfair. Prenups do not give the less-moneyed wife any credit for raising children and sacrificing job opportunities to provide for the household. What can happen is that the wife has children, takes care of the home, and has a limited career, while the husband spends much of his time earning money. In some agreements, he can spend most of his time developing and increasing his separate property that is shielded from her, while she gives all her efforts to the marriage. This is a very destructive situation. Also, prenups disturb the balance of power in a marriage, often giving the moneyed spouse all the power to decide what he wants in terms of sharing property with the less-moneyed spouses and by letting that spouse control all financial and business decisions that a couple normally shares. Prenups even often purport to eliminate all spousal support, even if the marriage breaks up after 30 or 40 years. What if the wife has been a stay-at-home wife and mother during those years by mutual decision? She has benefited the family; he has taken assets and his efforts for himself. Most prenups (except the ones I get my hands on) have the spouse waive all her marital inheritance rights. So even in an ongoing marriage she can be totally disinherited, without recourse. That is simply unfair. 10. They show a disregard of the law . In every state, the law has developed to protect spousal rights in case of divorce or death. This is one of the wonderful things about marriage versus just living together. If there is a marital break-up, there is an orderly and fair distribution of assets, and if needed, a sharing of income. The prenup is a private contract that interferes with the perfectly fine laws in effect. Remember, the laws were written and interpreted over a long period of time by very knowledgeable people applying fairness and thoughtfulness to real life experiences and situations. At essence, this is really what “the law” is. What to do if you think you need a prenup. There may be reasons to have a prenup in a first marriage, but there are ways to do them that are less harmful than the usual methods described above in this article. 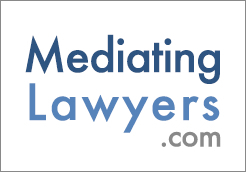 Mediation or Collaborative Law is an excellent way to work on a prenup. If you and your fiancé are seeking a humane prenuptial agreement, do a Google search with the terms “mediator”, “collaborative lawyer” and include your geographic area. You will come up with individuals who represent the other view – that prenuptial agreements should be written only when necessary, and should be written as narrowly as needed to meet real (not bogus) aims and concerns. In order to do this, the off-the-shelf “scorched-earth” version that is commonly used should be eschewed, and the prenup should be custom written. Anything more than that is like using a hatchet to remove a splinter. If a party or the parties feel that a prenuptial is needed, a good way to do it is face-to-face with your fiancé and a neutral mediator in the same room in real time. With the mediator, you both can mutually define the terms of your prenuptial agreement and directly discuss the concerns that are leading you towards wanting a prenuptial agreement. A skilled mediator will listen to both parties and can help you focus on your mutual and separate interests. The mediator can ably work to level the playing field to make sure that the less powerful party expresses herself/himself fully and clearly. Power imbalances can be counteracted by encouraging truthfulness and transparency. The mediator will then draft the terms (or an entire prenuptial agreement), which is then generally reviewed by separate counsel for each party. For a mediation site in Massachusetts discussing mediation of prenuptial agreements, visit www.mcfm.org. You can find the active mediation group in your state or region to find an appropriate mediator. Another way to go about it is to hire two collaboratively trained attorneys. Although Collaborative Practice is generally employed as an alternative to litigation, it has been used successfully to help clients formulate reasonable prenuptial agreements. Visit www.collaborativepractice.com and the list of collaborative law organizations in your state or region. Then you can work on the prenuptial agreement as a joint project in a series of four-way meetings. This is a great way to eliminate the corrosive damage that a prenup can do. Don’t box yourself in. You can think creatively about shielding premarital or inherited assets for a reasonable period of time and having some or all of the “separate property” vest into the marriage during a period of time. This can satisfy some of the concern over the financial results of a short marriage, although divorce laws do take into account the length of a marriage when dividing property. There also can be a “sunset clause” in the agreement that says that after a period of time after the beginning of the marriage the prenup simply self-destructs and the parties are then, simply married, like everyone else. By the way, after scouring the internet, I could find no evidence that Bill and Melinda Gates entered into a prenuptial agreement prior to their marriage. Perhaps this is the reason, in spite of Bill’s wealth, that their marriage is enduring and has been a true partnership. This article is a result of my experiences in working with numerous clients on prenuptial agreements over the course of twenty years, and by speaking with individuals who entered into marriages with prenuptial agreements, and attorneys who have worked with such individuals. All references are composites of many individuals’ experiences, and all references reflecting actual people have been altered to protect their identities. © 2010 Laurie Israel. All rights reserved. Laurie Israel is a lawyer/mediator who works in the areas of collaborative divorce, divorce mediation, divorce negotiation, prenuptial agreements and postnuptial agreements. A significant part of her mediation practice is mediating prenuptial agreements and she has written extensively on this subject. Laurie has published articles on prenups in The New York Times and in the Wall Street Journal, as well as in The Huffington Post. Laurie is the author of “The Generous Prenup: How to Support Your Marriage and Avoid the Pitfalls,” now available through online booksellers. Laurie also helps people who wish to stay married through providing marital mediation and is a frequent presenter on this topic, giving trainings to mediators around the country. Laurie is a former board member of the Massachusetts Council on Family Mediation and of the Massachusetts Collaborative Law Council. She is a founder and a managing partner of Israel, Van Kooy & Days, LLC in Brookline, Massachusetts. Laurie writes regularly on marriage, divorce, mediation and other topics. "As a cross-cultural instructor I found your website extremely informative and usefull. Thank you. Shall be happy to be updated on your developments. Respectfully,"